A strong earthquake, measured at magnitude 7.4, struck southern Mexico on March 20, 2012. The epicenter was in the state of Oaxaca, near the village of San Juan Tepeltlapa. According to the U.S. Geological Survey, the earthquake was caused by the convergence of the Cocos and North American tectonic plates. 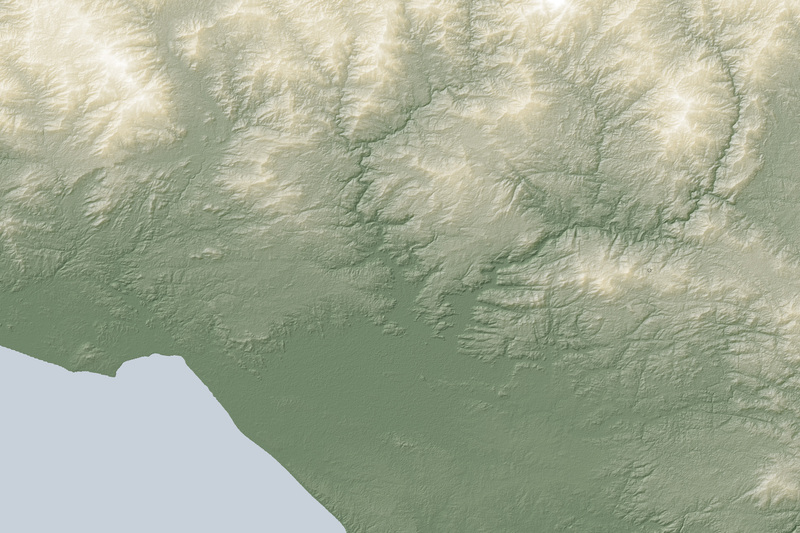 The region’s rugged topography, shown in this shaded relief map, suggests that it is tectonically active. Green areas, such as the course of the Rio La Mariscala, are low elevation. 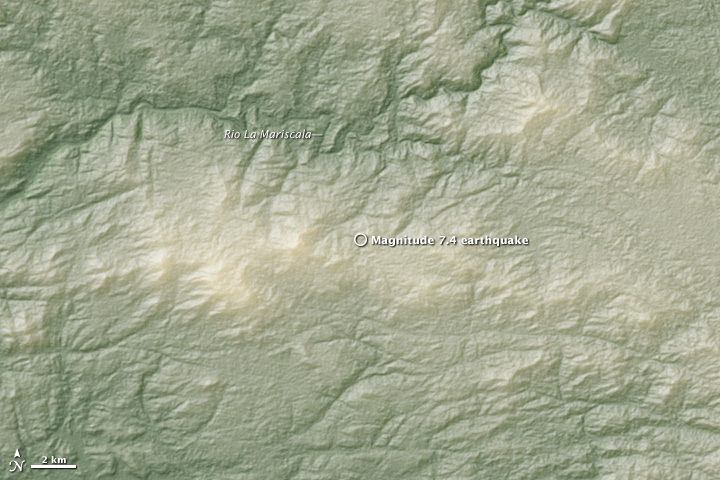 Yellow indicates high elevation—over 1,100 meters (3,600 feet) in the mountains immediately west of the epicenter. Linear features running west-northwest may be evidence of faults. The elevation data were collected by the Advanced Spaceborne Thermal Emission and Reflection Radiometer (ASTER) on NASA’s Terra satellite. Image courtesy NASA/GSFC/METI/ERSDAC/JAROS, and U.S./Japan ASTER Science Team. Caption by Robert Simmon. A strong earthquake struck southern Mexico on March 20, 2012, near the converging Cocos and North American tectonic plates. Microsoft Corporation. (2012). Bing Maps. Accessed March 20, 2012. USGS Earthquake Hazards Program. (2012, March 20). Magnitude 7.4 - OAXACA, MEXICO. Accessed March 20, 2012.